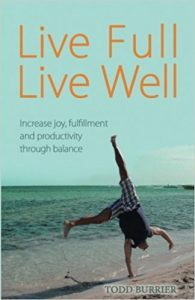 Live Full, Live Well- Increase Joy, Fulfillment, and Productivity through Balance. “This is a work of passion for all the people who have sacrificed too much for far too little. It’s never too late to change the way you live your life. It’s for people who are trying to get it all done but know that every day is just not what it could be. This book is a real, honest, approach to life that can help anyone of any age to have more joy, fulfillment, and productivity in their life through the achievement of balance. You are going to learn specifically how to develop a balanced lifestyle with this book. You will not read about work-life balance here, because I believe that work-life balance is a misnomer. To even acknowledge the idea of work-life balance is to say that work is equivalent to life. It is not. Life is bigger by miles. There are many aspects of your life that make up what you have to balance. Work happens to be one of them. Work is very important, but so are many other things. You will learn how to balance everything in a way that I have proven to work for over a decade. You will learn how to participate fully in the lives of your children and your spouse, your career, your personal wellbeing, the hobbies and causes you care about, the friendships that matter, and more.” – Todd Burrier BUY NOW! 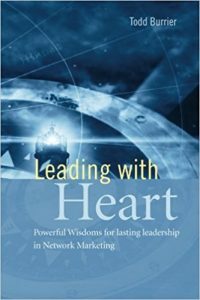 Leading with Heart is a road map for developing the ability to lead in the direct sales and network marketing industry. The lessons and concepts are invaluable for anyone who is dedicated to creating a lasting organization, whether new to the industry or in the midst of growing a leadership platform. Todd gives you the benefit of his 26 years in leadership, and shows you how to begin creating your own foundation for leading others regardless of your current level of success. You will learn how to grow your influence with an organization, how to navigate the challenges that arise, how to structure your time in leadership, and how work with all types of people. The concepts and fundamentals that you take away will serve you in all aspects of life and especially those areas in which you are working with people. (Available in German through www.BalanceTools.de) BUY NOW! In today’s uncertain economic times, it is crucial for every household to have multiple income streams in order to have a secure financial future. Referral marketing, network marketing, and direct sales are all business models that offer an opportunity for someone, with nothing more than the heart to succeed, a clear path to create a lifestyle of their choosing. This easy to read book will show you just how fun and easy it can be to build a successful long-term network marketing income from home. Todd’s process is proven and works for everyone who applies themselves. Whether you are a stay-at-home Mom or a business executive looking for an exit ramp from the corporate rat race, these fundamentals and principles will guide you to success. 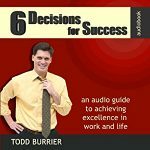 Todd will guide you through the simple behaviors that will allow you to be effective in any pursuit of your choosing, while clarifying what your obstacles will be and how to overcome them. You cannot fail if you follow his teachings. (Also available from Amazon in German [De Methode] and Spanish El Processo) (Dutch and Italian versions are available through www.balancetools.de) BUY NOW! Todd’s book “The Process” for building a residual income with Network Marketing as well as his fundamentals and leadership trainings, have become immensely popular and have made a positive impact on thousands of people. The Process is simple to work and it´s a proven concept – developed from more than 25 years of experience. Enthusiasm and belief are the driving forces in network marketing and approach, information, follow up and serve are the core activities. 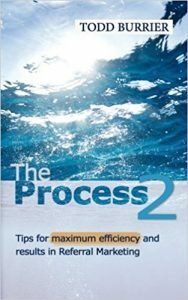 This book will help you to be as effective as possible in these activities. Don´t let chance determine your success. This book provides answers to the most common challenges faced in the daily work of a networker. · How to maximize your effectiveness when your time is limited · Prioritize your work in the right way · How to track your contacts for maximum results · Open the right doors in your approaches · Use your energy effectively and create momentum · Transform your doubts · How to provide outstanding service · Leadership and soft skills. (Also available from Amazon in German [De Methode 2] BUY NOW! The Six Decisions for Success is an inspirational how to for anyone pursuing any endeavor. Successfully accomplishing something is truly a choice. There are many aspects to ultimate achievement, from goal-setting and planning, to execution and follow-through. Whatever you endeavor to do and whatever stage of pursuit you are in, you will face difficulty, and usually the degree of difficulty will increase with the size of the goal. Triumphing is about the choices you make along the way. These choices are the 6 decisions. Anyone can succeed. It is simply a matter of following these fundamental truths and deciding to succeed every step of the way! “After implementing these balance concepts my life went from feeling frustrated and harried to calm and in control. I am accomplishing more in my practice and working fewer hours. My personal life has improved too!” – Pamela A. Monetti, President, Life Plan Financial Services. In this program you will learn everything you need to build a solid foundation for a lasting network marketing business. Regardless of the system or style of your business this will serve you well. 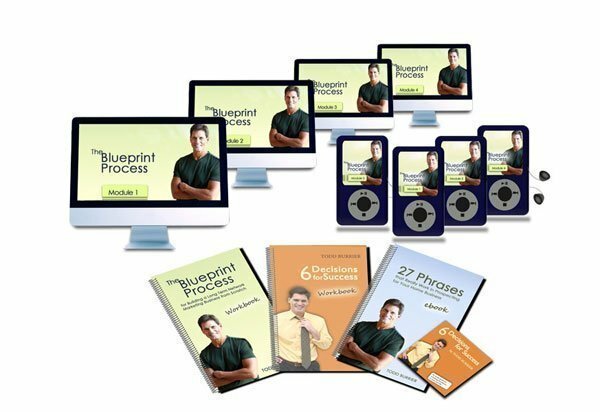 This a high value set of videos and bonuses that focus on the ideal ways to work with people, and will help you be more effective whether you are focusing on building off line or online. The Opportunity to build your business with Facebook is massive. Two Billion people currently use Facebook, including 85% of the Baby Boomers, which is the most powerful consumer group in the world. The smart way to build any business is to go where the biggest amount of the market is. And that is what Facebook is. The largest pool of people in the world that need your products and opportunity. Everyone in network marketing needs to know how to work with social media. Even if they don’t choose to use it, they will sponsor many people who want to. In fact, not knowing how to use it will reduce the amount of people you can sponsor, as many people will only want to join a team that knows how to use Facebook. This 9 Video Course (there are some bonuses too!) will help you learn all the fundamentals so you can become effective in minimal time.